Entering 2013, the Houston Texans are the youngest franchise in the NFL. However, that doesn’t mean there isn’t plenty of football history in the city. 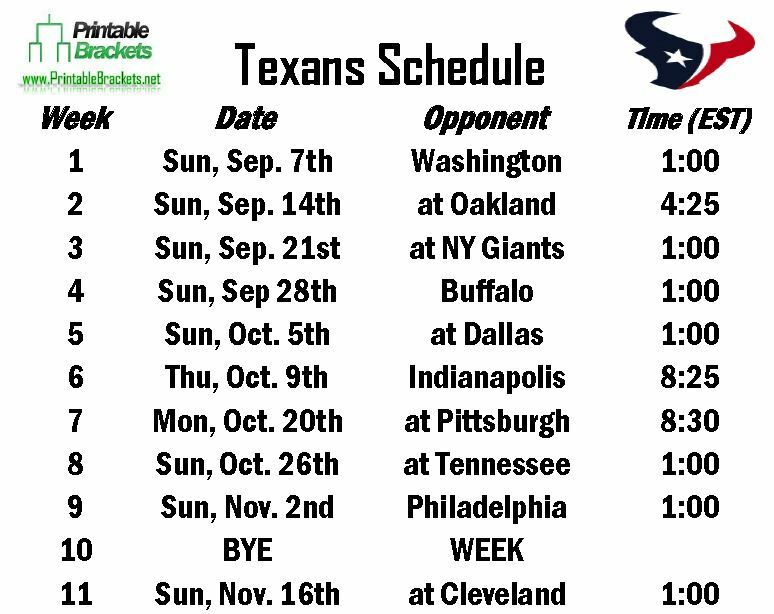 Before taking a look at the upcoming Texans schedule, here’s a look at the history of football in the city of Houston. The city of Houston was first home to a team when the Oilers were an inaugural member of the American Football League. The Oilers called Houston home until owner Bud Adams uprooted the team and moved it to Tennessee in 1997. In October 1999, it was announced that Houston would receive an expansion franchise to replace the since departed Oilers. In September 200, owner Bob McNair announced the new franchise would be called the Texans. The first head coach of the team was Dom Capers, who was also the first head coach in the history of the Carolina Panthers. The Texans opened play in 2002 and their first regular season game was at home against the Dallas Cowboys. The Texans stunned the Cowboys, 19-10, in their opener behind rookie quarterback and top overall pick David Carr. The celebration would be short-lived as the Texans would go on to finish their inaugural season with a record of 4-12. The Texans floundered during Capers’ tenure, which culminated with a 2-14 finish in 2005, Capers was canned and Gary Kubiak was brought in. After finishing 6-10 in 2006, Houston went 8-8, 8-8 and 9-7 the next three years. After stumbling to a 6-10 mark in 2010, the Texans finally won the AFC South division title with a mark of 6-10. Houston notched a 31-10 victory over the Cincinnati Bengals in its first-ever playoff game, but suffered a 20-13 loss to the Baltimore Ravens the following week. Houston again won the division title and beat the Bengals in the opening round of the playoffs in 2012, but couldn’t get past the New England Patriots in the Divisional Round.